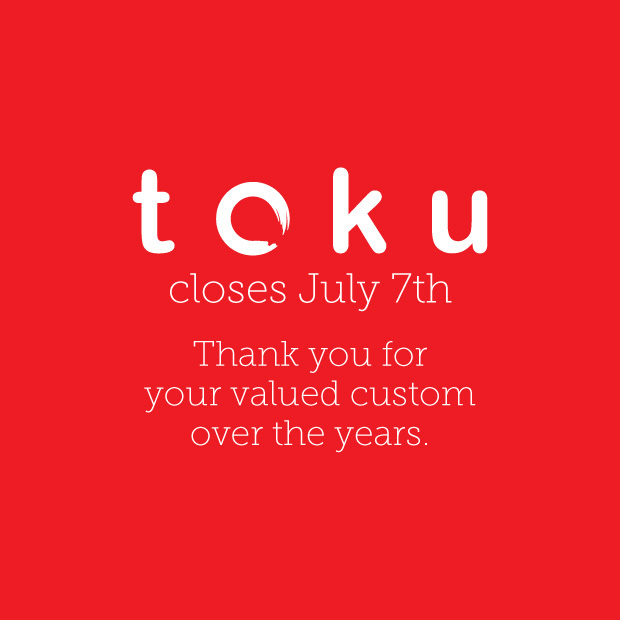 After years of service feeding the hungry people of Piccadilly, Toku Restaurant closes its doors July 7th. We thank everyone who has dined at Toku and enjoyed our speciality tempura, sushi, sashimi and other Japanese classics. We plan to return in the future so please send your name and contact details to toku@japancentre.com to be kept in the loop. In the meantime find your favourite Toku dishes at our SHORYU X TOKU collaboration at Shoryu Soho, 2-3 Denman Street from July 12th. 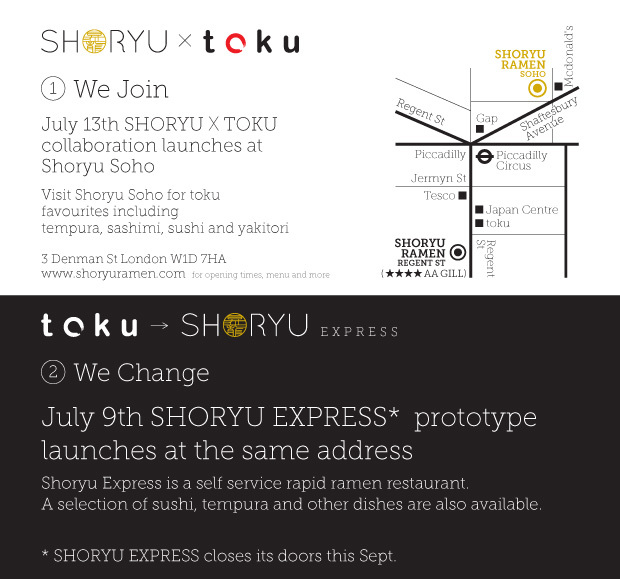 July 9th see our SHORYU EXPRESS prototype open at 16 Regent Street, Shoryu Express is a rapid self service ramen bar for those on the go.